If polluted or contaminated water gets back into the main water supply it can pose serious health risks so it is important to continually monitor this equipment. 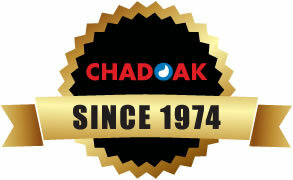 Chadoak have been monitoring backflow devices since 1974 and have the experience and equipment to do it right the first time. The Plumbing Industry Commission has the authority to ensure water users comply with the National Plumbing and Drainage Code. Licensed Plumbers must supply clients with a Certificate of Compliance for plumbing works that include Medium or High Risk Backflow Prevention Devices. Some Commercial and Industrial sites will already have installed Backflow Prevention Devices at the property boundary, however this will only protect the Water supplier’s main external of your property. A Backflow Prevention Device located directly downstream of the water meter is referred to as Containment Protection. Chadoak has experience in fitting backflow prevention devices that prevents water from flowing backwards into a water pipes. There are degrees of protection ranging from a vacuum breaker on a garden hose line to reduced pressure zone backflow preventers commonly used in an industrial setting where chemicals are connected to water lines. 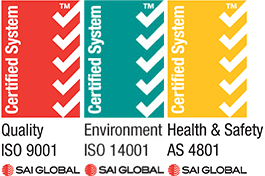 What is used and where it is installed depends on the application and the threat level. With Chadoak, its Quality Work 24/7! We supply these brands and more. CHADOAK can provide an audit to identify the supply, install and testing of relevant backflow devices. On- Site evaluation and assessment of existing or potential cross connections between drinking water and sources of contamination.